Don’t sweat it. It’s cool. No worries. Easier said than done sometimes, right? Especially when it comes to actual sweat. Everybody sweats, sure. But not everybody sweats in the same way. Some of us sweat heavily, uncontrollably, in fact. Some of us want to take that “no sweat” attitude to a whole other level. To live life high and dry, without the stress of stickiness and sweat patches. With Rexona Clinical Protection Antiperspirant, now you can. Nothing can stop you. Not even sweat. To combat heavy sweating, Rexona has developed breakthrough Defence+ Technology to keep you dry and fresh, all day long. It creates a micro shield that protects you from sweat for 96 hours. Clever. And get this. Our Clinical strength anti sweat antiperspirant is 3x stronger than your regular antiperspirant deodorant. Specially formulated to provide our best protection when you need it most (which is sometimes every day, we feel you), this Clinical strength antiperspirant creates a barrier against sweat for that super-clean feeling, no matter what. Nothing will hold you back. Not the voice in your head, not the heat, not the stress, not anything. And don’t forget the scent. Sophisticated, uplifting fragrances that last. Guaranteed freshness? Tick. That’s one less thing to worry about. 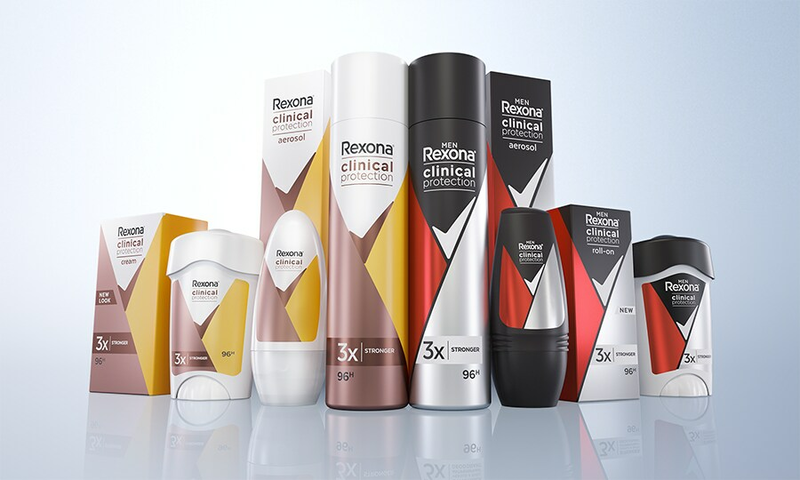 Feel unstoppable with Rexona Clinical Protection. It won’t let you down. HOW DOES DEFENCE+ TECHNOLOGY PROTECT FOR 96H? Thanks to our breakthrough patented Defence+ Technology, Rexona Clinical Protection provides our best protection against excessive sweating. The innovative formula creates a clever micro shield that expertly fights moisture for 96 hours, making this anti sweat antiperspirant 3x stronger versus a basic antiperspirant. Male or female? Prefer a roll on, cream or aerosol spray? Now you can rely on the same cutting-edge strength to keep you fresh and dry, no matter what. 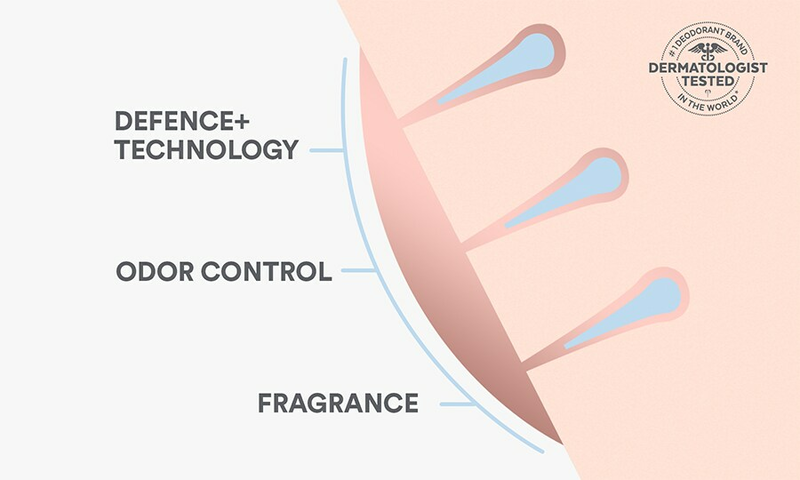 Our scientists have ensured that Defence+ Technology in aerosol and roll on has the same level of protection as the Advanced Active Technology in the existing cream. So whichever you prefer to use, you can rely on the same level of clinical strength protection against sweat. Everybody sweats to keep cool. It’s a bit like having a natural thermostat. Perspiration lowers our body temperate as it evaporates. Illness, hormones, adrenaline and stress can also cause you to sweat. For some of us, sweating occurs more than others. It can affect you in moments like hot weather but can also be worse in moments of stress or anxiety like that big meeting at work or when you’re about to go on a first date.